It’s one of the first things we notice when meeting people: their smile. Having strong, healthy teeth gives us more confidence in day-to-day activities and can even help with our overall general health as well. Regular visits to the dentist and daily brushing and flossing go a long way to maintaining dental health. Despite these efforts, problems still do occur. A poor diet, tobacco use, and other factors can play a part in damaging teeth. Teeth can be damaged in an accident, or, in the case of wisdom teeth, may not have room to come in properly. Even if dental care hasn’t been a priority, there are plenty of actions that can be taken to correct failing teeth. Fillings, crowns, and inlays are just a few of the options for people who want to improve their appearance and correct problems. These restorative steps are used to strengthen and preserve the teeth. When is tooth removal recommended? Despite all of our best efforts, sometimes a tooth just can’t be saved or must be removed for oral or other health reasons. Perhaps the tooth root is just too damaged, decay is too advanced, or the mouth is too small to accommodate all of the teeth. For example, a common practice is to remove third molars to allow more room for the rest of the teeth. Also known as wisdom teeth, these molars can cause overcrowding within the mouth, or may not have room to come in properly. This can cause difficulty keeping teeth and gums healthy. No matter how well you’ve maintained your oral health, teeth sometimes need to be removed. 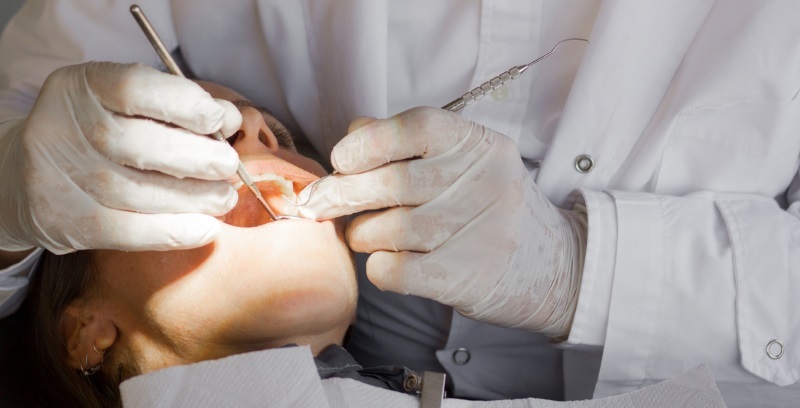 Is tooth extraction right for me? We believe it’s always best to hold on to a tooth when possible. If circumstances arise where you have to have a tooth removed, Creekside Dental offers a lot of good restorative choices. Sometimes pulling the tooth is a better option than trying to keep one that isn’t viable. We’re dedicated to preserving your teeth and providing you with the best dental care necessary. Sometimes extraction is the best alternative. Creekside Dental work with you to help determine the best option for your unique situation. Should you need the services of an oral surgeon or other specialist, we will coordinate and arrange your appointment, help prepare you for the procedure, and schedule the necessary follow-up and restorative services. For more information on tooth removal and restorative measures, contact us today. Together, we can figure out the best course of action for your dental care. We’ve been serving Southwest Washington for more than 25 years and provide only the best care for our patients.